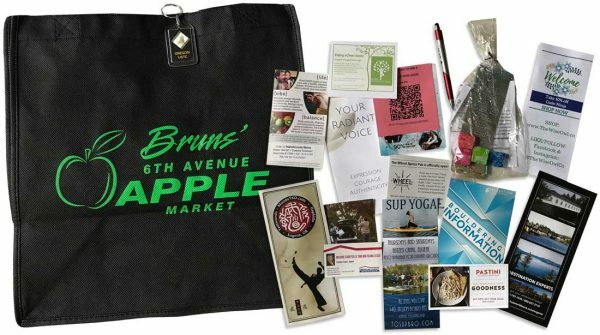 PLACE YOUR COUPONS, PROMOS OR BROCHURES INTO THE SWAG BAG! Event participants & guests love receiving a goodie bag at the tournament. 125 swag bags will be distributed on Saturday morning to each signed up teen and adult participant, family member if with younger kids, attendees and volunteers, until we run out. Connect with Tim Greathouse to meet for the material hand-off. If you need help designing an item for the swag bag, we can create it for you for a small fee.